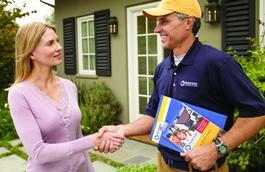 Exceptional opportunity to buy an established Handyman franchise with repeat customers. This franchise has been successfully operated by the same owners for 18 years. The majority of the revenue comes from repeat customers and the next highest source is Angie’s List where this business has an A rating, and has received the Angie’s List Super Service award for 2 years. Included software to manage the business and full training and support, plus wealth of experience California specific unique laws normally not provided with a new franchise. Handyman Connection® is part of the high demand, high growth home improvement services industry. Founded in 1993, Handyman Connection was created to address the question that many homeowners still have today. Where can I find qualified, reliable craftsman to do the small home repairs and small remodeling jobs in my home that I don’t have the time, tools, or talent to do myself? And today, Handyman Connection continues to be the answer to that question for hundreds of thousands of homeowners across the United States and Canada. Each Handyman Connection franchise is locally owned and operated, backed by the company that helped launch the industry. Business knowledge is more valuable than construction knowledge. With the home repair and home improvement industry thriving, these numbers suggest that the need for Handyman Connection services will not only be maintained, but continue to grow. Remodeling expenditures tripled between 1970 and 1980 - jumping another 250% the following decades. 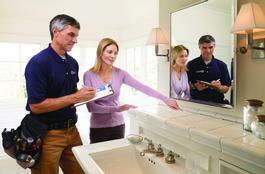 Industry forecasts estimate Home Improvement Spending to rise at a steady pace year on year. What Makes a Handyman Connection Franchise Different? Leave the handiwork to your craftsmen! As a home repair and improvement business owner, your role is to drive the marketing, sales, and the people management side of the business. Through over 20 years of operation, Handyman Connection has attracted individuals from a large cross-section of industries and backgrounds. Handyman Connection is also a technological leader in the industry making innovations in customer management, project management, resource planning, marketing and mobility. Learn more about what it takes to own your own Handyman Connection home services business. Many of our franchisees come out of middle to senior management positions in corporate America, sales professionals and business owners. We don’t expect our franchisees to have all of the skills and characteristics of successful franchisees when they come on board. However, we do look for franchisees to have the ability, energy, and work ethic to learn new skills and the personality to want to execute the skills that we support. These include the development of business plans and effectively marketing & selling Handyman Connection services in their markets. In addition, franchisees must be able to quickly identify and close job opportunities and efficiently manage the completion of those jobs. Franchisees must possess the qualities of an entrepreneur, be willing to work long hours, and assume the personal responsibility for the success of the business. Handyman Connection franchisees thrive on being in charge of a business and must be able to staff and lead people. Franchisees also must have the financial acumen to handle the accounting duties of their company and the organizational skills to ensure that operations run smoothly. To find our more about this Handyman Connection business, Please fill out the form below and submit.